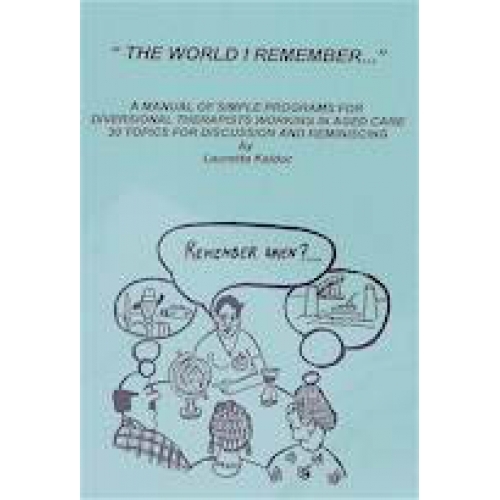 A manual of simple programs for diversional therapists working in aged care. Thirty topics for discussion and reminiscing including entertainment, music, famous Australian men and women, where were you when?, big cities and local history and made in Australia. Very easy topics for lower-functioning clients.